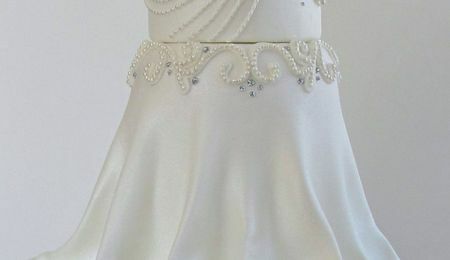 You've probably seen shiny smooth cakes all over social media recently. It's called Glaçage or Mirror Glaze. 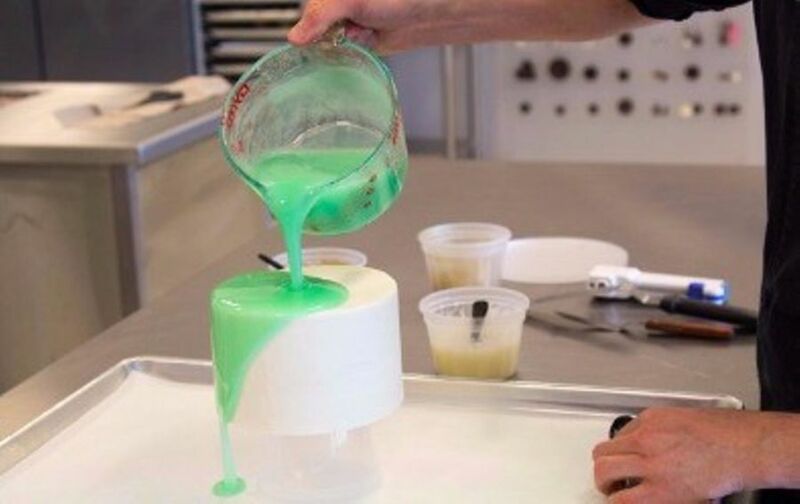 With the right ingredients, a few simple tools, and best practices from Chef Joshua John Russell, you can create these striking cakes with infinite potential for creativity. Mirror glaze has been around for a long time. 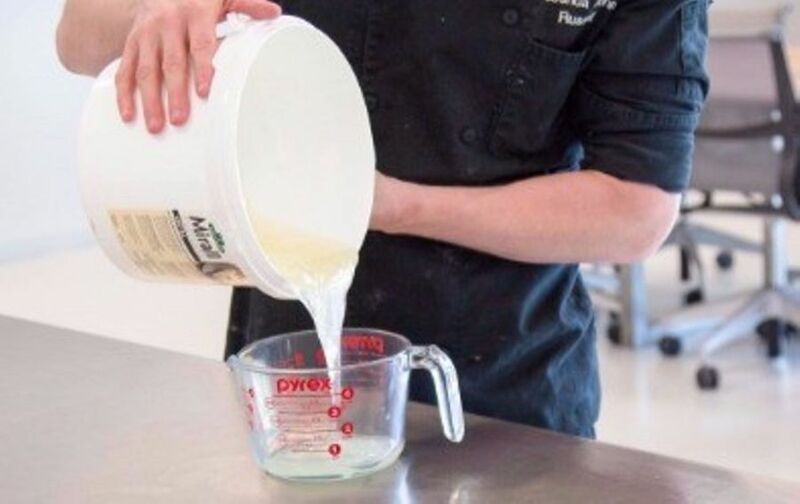 It is mostly used by pastry chefs. I remember glazing entrements in culinary school. 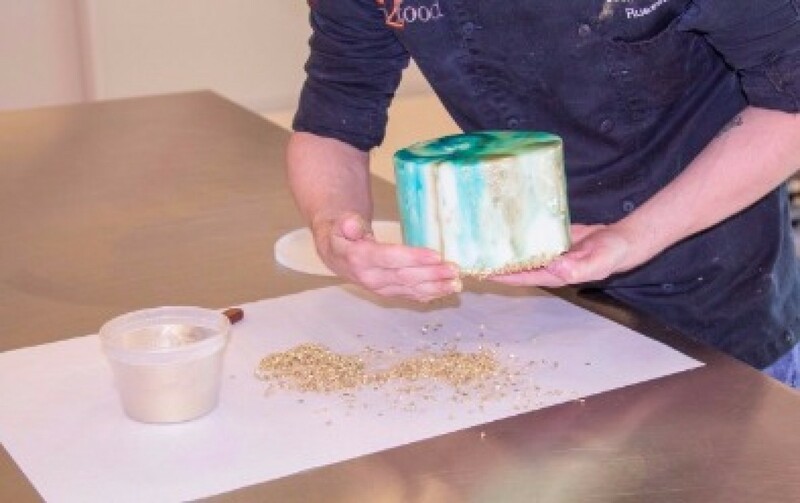 Recently, mirror glaze has become a hot new look in the cake decorating community. Cake Central asked if I would create a tutorial on how the glazing is done. I jumped at the chance because the company I work for (in2food) has an awesome mirror glaze called Mirall. Mirall comes in white and dark chocolate as well as a neutral. 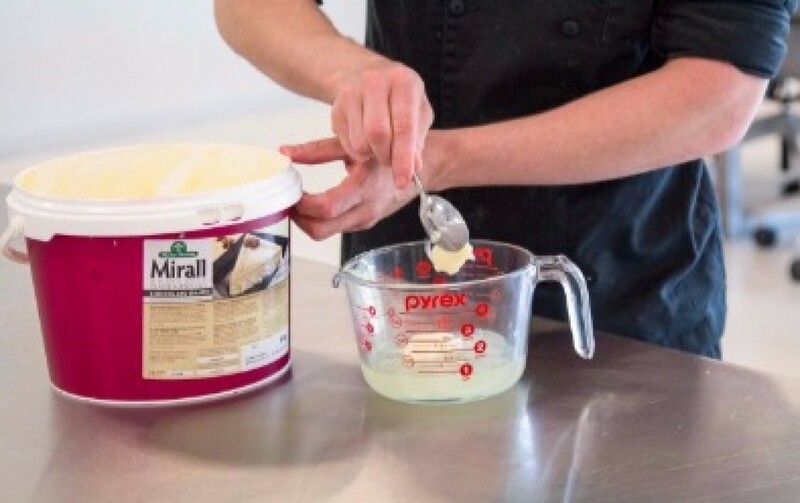 The neutral Mirall can be used on fruit tarts and pastries as well. This will also give you a translucent look (so you can see what's underneath. If you want something more opaque then you will need to use the chocolate or white chocolate. Now I heat the glaze gently (20 seconds at a time). 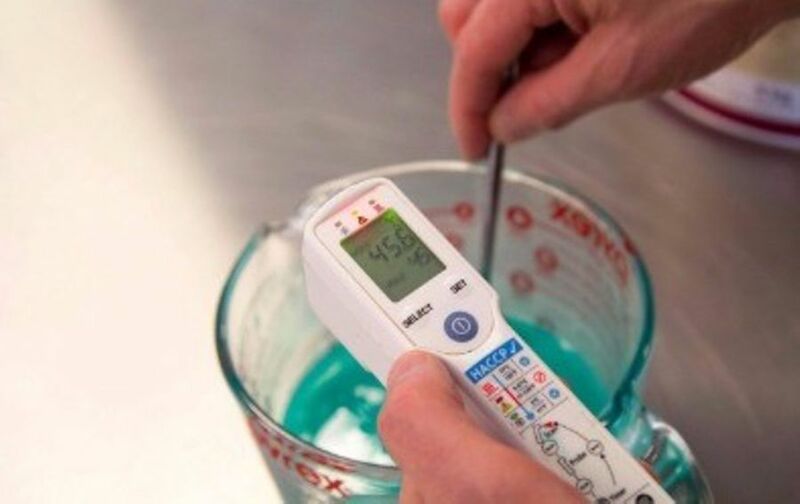 You want the glazing temp to be around 40 to 45°C or 105 to 115°F. So if you happen to heat it a bit hotter, just let it cool down before glazing. 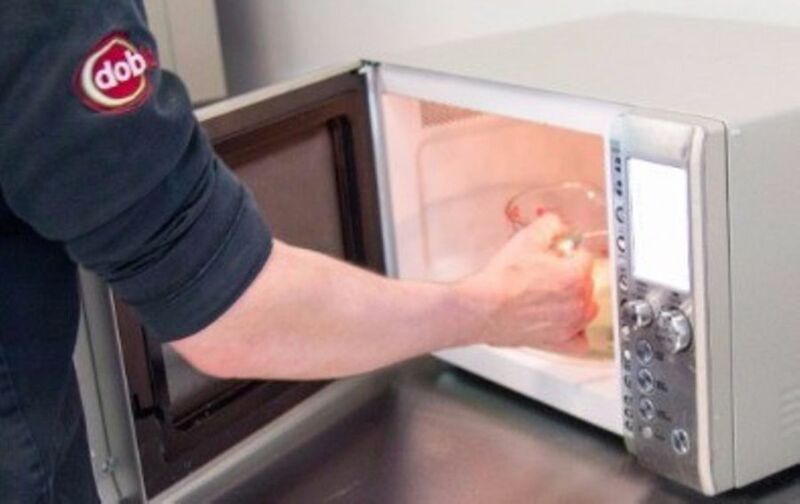 Microwaving is the quickest way, but you can use a water bath as well. Temperature is KEY! If the glaze is too hot, it will be too thin or could melt the underlying medium. If it's too thick, it will be clumpy and not smooth. I use a laser thermometer to keep the glaze in check. 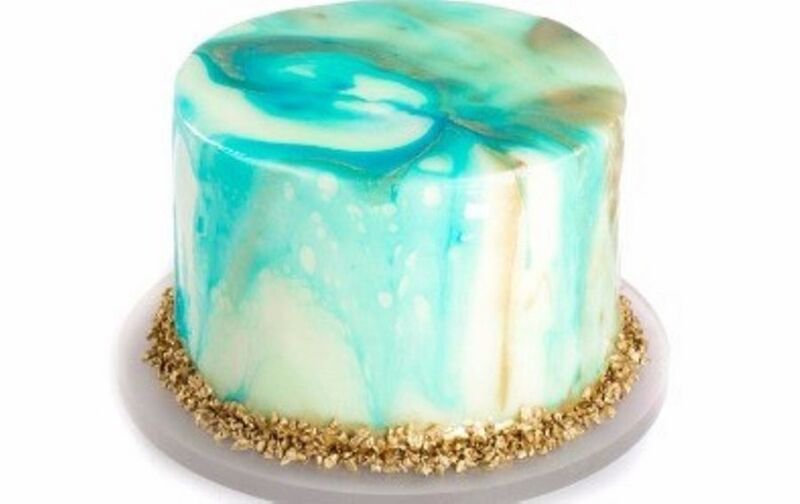 I am going to glaze my cake with a frosted jade color, a sparkly blue, and gold. If you add powder color to the glaze, you may need to hit it with a hand blender (this will also help smooth the glaze). The glaze will take gel color or oil based color as well. Note: you want to make sure all of your colors are made and all at the same temp before glazing! 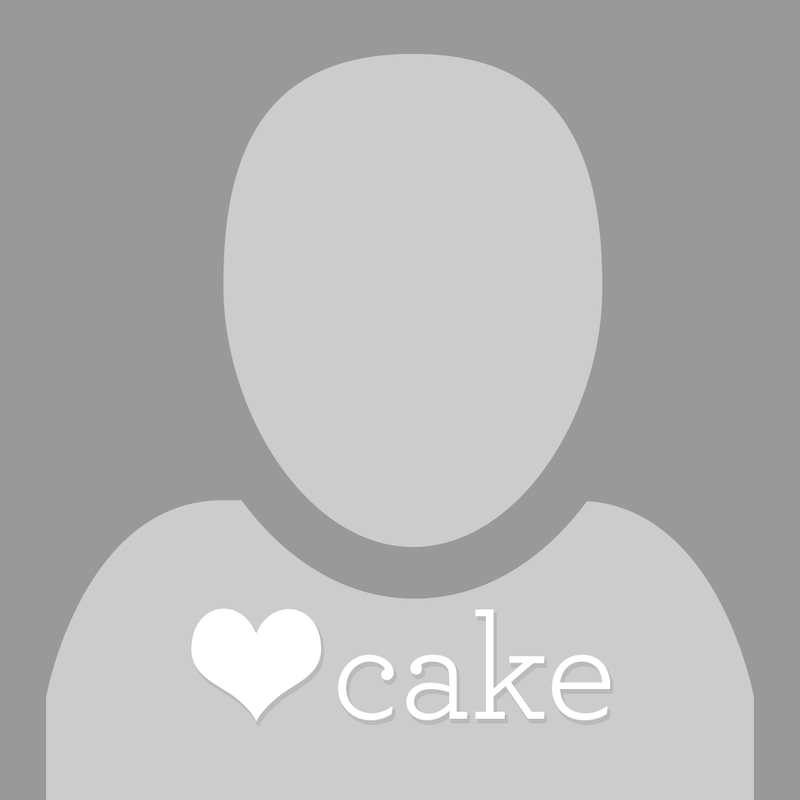 I will be glazing a buttercream cake. You can glaze anything though… mousse, fondant, ganache. And you want to make sure your cake is cold. I popped mine in the freezer for a few minutes. Elevate the cake on an inverted bowl or glazing rack, over a baking sheet. 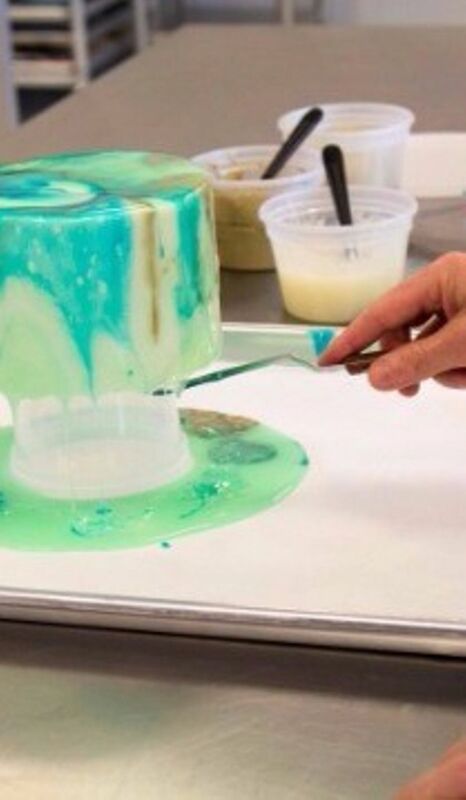 Now working quickly, I pour my jade colored glaze over the entire cake. This should enrobe the whole cake. Then I quickly add the blue and gold in smaller amounts, and swipe the top with a spatula. 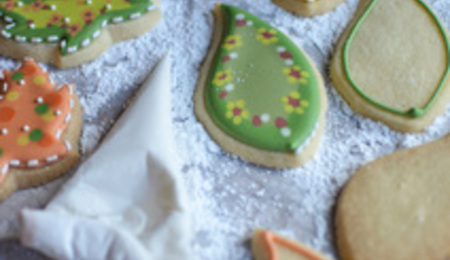 Once the glaze has stopped dripping, use a knife or offset spatula to clean the bottom edge. To seal the bottom edge, I need to add some sort of topping. I added some gold dust to cocoa nibs and used my hand to adhere them to the bottom edge of the cake. 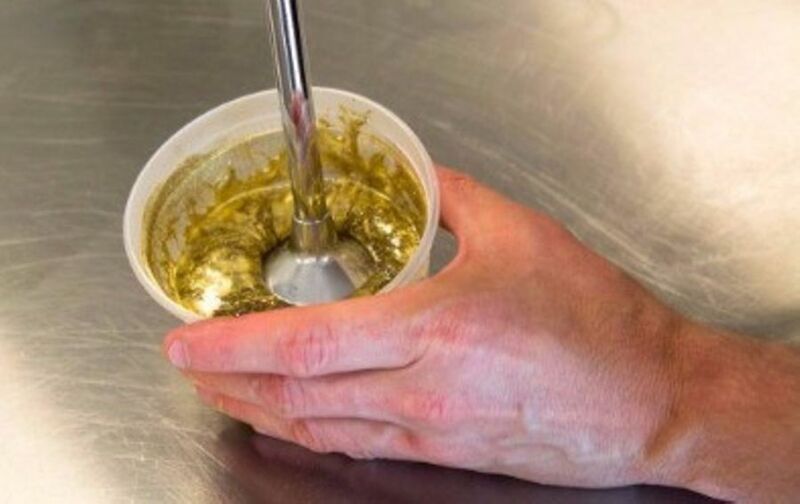 If you see bubbles in your final product, you can use a small torch (like a brulee torch), on low to pop the bubbles. All colors should be at the same temperature before glazing. Tip: you can leave them on a warming plate to stay at temp. Who sells Mirall glaze? I looked it up on the internet and nothing came up. You might ry logging into his site, where he works, they must sell it, (in2food) , as shown above. Pam57 Firminternational.rs a company from Serbia sells Mirall glaze, its spendy about 100 US $'s but comes in 5 different flavors and last about a year. Kara Couture Cakes has a live video on her FB page that demonstrates her recipe for mirror glacé and how to. Although this Mirall looks much easier. Hey all!! You can find the Mirall Glazes at this link! 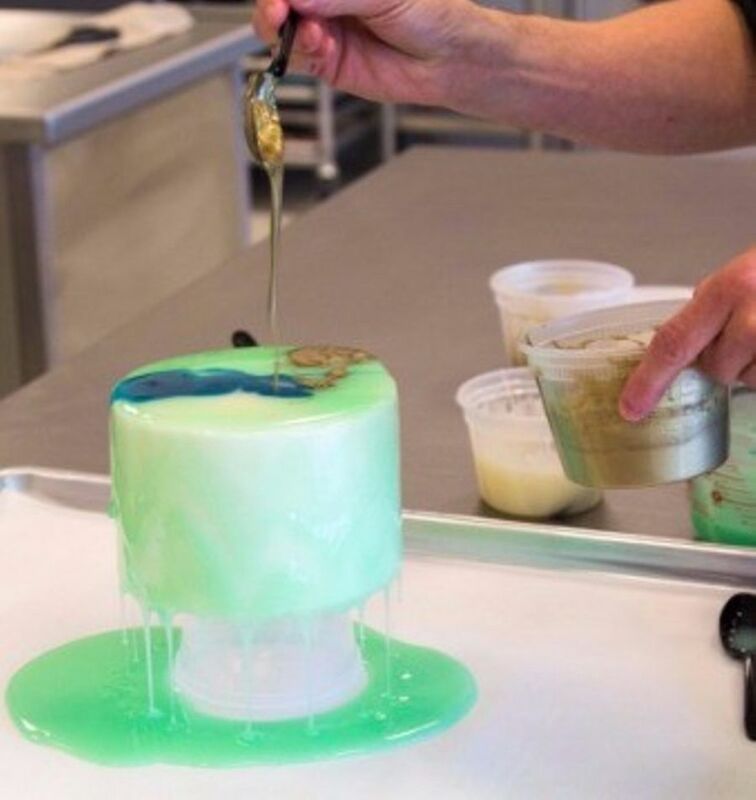 does the glaze need to go over a covered cake...i.e. will it work over a 'naked' cake? i'm looking for something to cover a 3 d cake mold while keeping the details (sandcastle mold with stone walls and window frames). my original thought was for petit four coating. any opinions are appreciated. 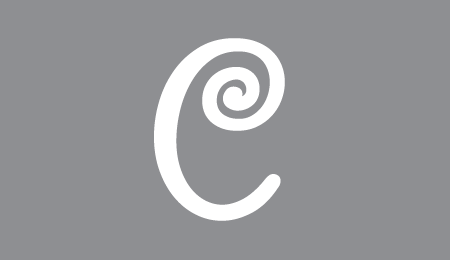 Any idea what the UK equilivant would be ?????? Monica13. Yeah- same as usual...make yer own haha!!! There are some recipes on YouTube; no good for me as they all use gelatin and I'm vegetarian (agar just doesn't seem to work even tho most recipes say it does..) but they aren't that difficult. Good luck! Must admit- I did think I was going to watch a tutorial on how to make it HERE...not just an advert for a ready made product. I'm a little disappointed..
Link in the list of materials has been updated!